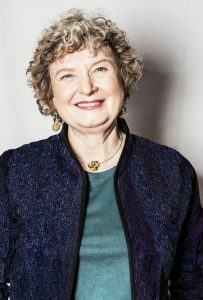 NEW YORK — In celebration of the International Day of Women and Girls in Science, L’Oréal USA Monday announced the selection of Professor Ingrid Daubechies as the North American Laureate for the 2019 International Award For Women in Science. Professor Daubechies will be awarded with €100,000 for her exceptional research in Mathematics and honored at an awards ceremony in Paris on March 14, 2019. Rooted in the belief that the world needs science and science needs women, the L’Oréal-UNESCO For Women in Science program, established in 1998, annually honors five outstanding women scientists from around the world for their contributions to the sciences, in fields including chemistry, physics, materials science, mathematics and computer science. In the domain of scientific research, the glass ceiling is still a reality: only 28% of researchers are women, 11% of senior academic roles are held by women2 and just 3% of Nobel Prizes for science have been awarded to women. The highest ranks in the mathematics field are particularly devoid of women; in recognizing mathematics and computer science with the International Award for the first time, the L’Oréal Foundation and UNESCO seek to reinforce their efforts to empower women across all scientific fields. Professor Daubechies has been a trailblazer for women in mathematics, having become the first female ‘full professor’ of mathematics at Princeton University and the first woman researcher to be president of the International Mathematical Union. She received the medal of the U.S. National Academy of Sciences in 2000 and is committed to fighting for women’s access to science and education in developing countries.